Housing provider Lizbuilt, Inc. recently signed up for Group Term Life Insurance with Insular Life. Lizbuilt’s program enables Filipinos to choose any available model houses and pay the fixed contract prices through installments ranging from one to three years. The houses are built after their full payment. The program also has a spearate “DIY Sachet Program” which enables each client’s monthly installment to buy one prefabricated part at a time until the house is completed. Lizbuilt is an affiliate of the Vazquez Building Systems Corporation (VAZBUILT, Inc.) which pioneered the construction of prefabricated components for vertical structures. 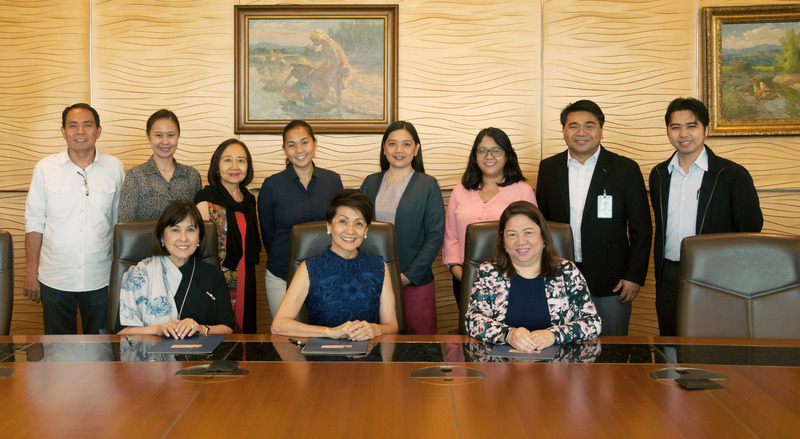 Signing the agreement are (seated, from left): Insular Life Executive Chairman Nina D. Aguas, Lizbuilt President and CEO Ma. Elizabeth G. Vazquez, and Insular Life President and CEO Mona Lisa B. de la Cruz. Witnessing the signing of the agreement are (standing from left): Lizbuilt Technical Manager Ferdinand Patawaran, Exec. Asst. Catherine Bautista, Insular Life Trustee Marietta C. Gorrez, Lizbuilt Corporate Secretary Trina Relampagos, Insular Life Corp. Admin Division (CAD) Customer Care Representative Princess Flormata, CAD Group Conservation Unit Head Mia Gonzales, Vice President and CAD Head Lorenzo Luis L. B. Gallardo II, and Insular Life Corporate Technical Department Manager Doni Sta. Brigida.